1DUTE VIP CLUB @Yiducity is our exclusive sales channel. Members are Retail Consumers (Families, housewives, managers, food & travel lovers, employees) and Professionals ( Distributors, Shop Owners, Investors / Entrepreneurs) in China and International Markets. 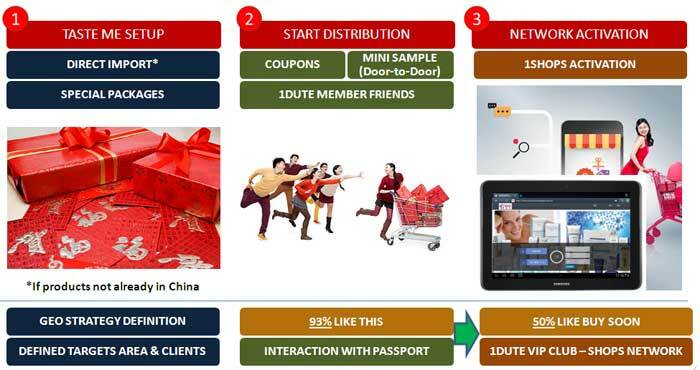 Selected exclusive products available in Cross-Border, e-Commerce and O2O (real shops or temporary corners), combined with viral selling actions by own members, permit to 1DUTE VIP CLUB to reinvent the distribution concept “Around the consumer”. It's Guaranteed: all products are traced by QIAO TAG: authenticity and live tracking in 1-CLICK. 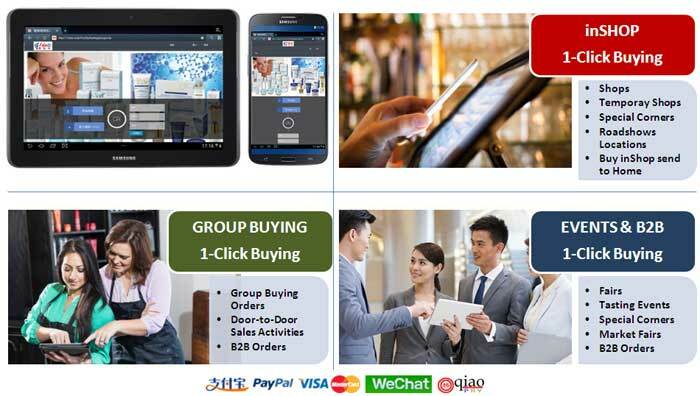 It's Group Buying: our members with their 1Shops, can trigger a buying group and create an order together with their contacts and network relationships, in this way can get better price of products / service they have selected from 1DUTE catalog. It's Flash Sales (deals of the day): our members are invited to buy super special offers or limited editions available only for a period of 24 to 36 hours developed by 1DUTE VIP CLUB. It's TASTE ME Ready: from surveys 93% Like receive Special Coupons or Product Samples and 50% like buy soon product received. With 1DUTE VIP CLUB is possibile activate a TASTE ME campaign using members leverage to delivery to their friends the special Offer and opportunity and their 1Shops to distribute and sell Campaign products. Perfect for Test market and area development, to turn customer engagement in concrete business localized by QIAO TAG. It's BE-Cooperative: our members can request / suggest products they like to buy. 1DUTE VIP CLUB will create wholesales shopping experiences for members in contact directly with Brand & producers. It's Multi-Shopping Experience: our members can buy special products and combined lifestyles special offers and combined packages developed by 1DUTE VIP CLUB. 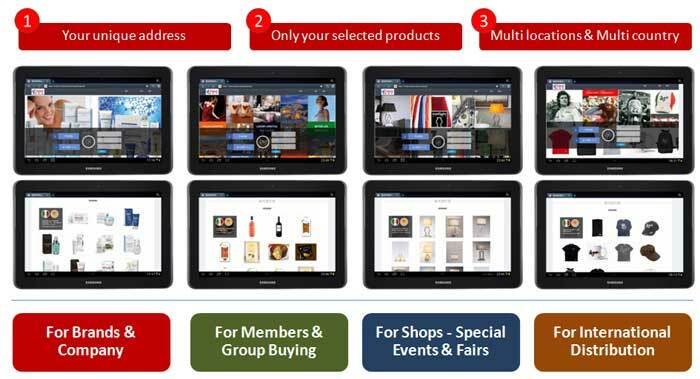 It's Be-Pos:Brands / Producers can use 1DUTE VIP CLUB as direct sales Channel and POS in real or temporary shops, Door-to-Door Activities, B2B Orders, Fair & Exhibitions Sales activities. Perfect solution to sell "on the road" anytime and everywhere without barriers. Payments with Alipay, Paypal, Wechat, Qiao Pay. It's Brand Multi-Channel: Brands / Producers can use their unique 1DUTE VIP CLUB address as direct Promo-selling channels in different situations and marketing - sales actions (Shops, Fairs, Door-to-Door, International / Local Distributions, Special Products, Special Packages and Offers ...). Base account: 10 Channels for Brand. With own hubs in EU(Italy) we aim to create Glocal Commerce Activities through a conceptual change of Digital Commerce (BE-Commerce). Combined among them real with digital spaces, real – digital commerce, local and cross-border commerce, create a new Commerce without barriers (BE-Commerce).